We here at BN Realty are often asked for our advice when it comes to real estate investing. Not only do we specialize in the buying and selling of homes for our client’s primary residence, but we also enjoy working with clients that are interested in getting into the real estate world from an investment standpoint. We have helped several clients build their real estate portfolio and even have members of our own team that have experience with this. We would love to share some tips that we have learned with our readers! As always, keep in mind that this list is not all-inclusive and it should just be a starting point in your research. The best way to learn what may work best for you is to meet with one of us personally and create a plan with our agents. 1. Take a very close look at your finances and marriage. We cannot stress enough that you should be in a strong financial position before starting. Generally the best investors start by building up their savings accounts and then investing their cash into a property. Gradually over time you will be able to expand your portfolio and add properties and therefore create more wealth for yourself. As for your marriage – make sure that your spouse is on board with the idea of real estate investing. Your marriage is more important than anything else, remember that. 2. Determine your goals and create a business plan! This is the step that we are eager to help you with. Talking to an expert will get your own ideas flowing about what exactly it is that you want to do. Make sure to write your plan down! In our office we like to create SMART goals. Make sure that your goal/plan is: specific, measurable, achievable, realistic and time-based. 3. Do your own research, don’t blindly listen to friends, family, peers or colleagues. This is so important because real estate information can be very different from town to town, city to city, state to state, etc. What works for your cousin in California may be completely different than what works here in Bloomington-Normal. 4. Two words: SWEAT EQUITY! Start learning how to do basic repairs on everyday home problems. What happens if your tenant calls and says that the toilet is broken? Fixing this yourself will save a substantial amount of money compared to having to call a repair man out every time this happens. Or what happens if the house you just bought to flip needs all new paint? Over the course of a 15 year mortgage, we’re talking about hundreds to thousands of dollars being saved if you put in just a little bit of work yourself on the property. 5. Find an experienced agent, mentor or property manager and don’t be afraid to ask for advice. Learning from their successes and mistakes before making the mistake yourself is the best way to quickly grow into a strong investor. 6. Treat your business as a business and start practicing your record keeping now. Make sure that you have a system in place to keep track of your gains and losses for each property. Save lease agreements, receipts, repair bills, utility bills, etc and keep them somewhere easily accessible. Make sure that you are capable of managing your properties yourself, or hire an agency to do this for you. Trust us on this one! We also want to briefly touch on a few different types of real estate investing in hopes that one or more of these get you as excited as we are to share them with you. 1. Residential properties: most people who decide to get into real estate investing tend to start with this. An investor may purchase a single family home, townhome, apartment complex or vacation home and plan to rent it to generate cash flow. Your tenant is now paying your monthly mortgage while you are building equity in the property. You can continue to rent the property after the mortgage is paid off, or if the value of the home has appreciated you can sell it and keep the profits! Another popular investment method is house flipping. An investor will purchase a home that needs improvements and then either hire contractors or work themselves to fix the property. Once they have updated the home and corrected any issues, the home is listed FOR SALE in hopes to make a substantial profit. The key here is to purchase the home in a quality area for a low price and to stick to a strict budget when renovating it. We highly recommend meeting with an expert on our team to explore these options and to view properties together. 2. Commercial properties: office or medical buildings are a great example of commercial real estate investing. One of the upsides about this compared to residential investing is the tenants who lease offices usually rent the properties long term. 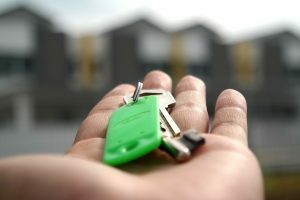 The typical residential lease is for 12 months at a time; however for business owners, it is common to sign multi-year leases. This offers a good long term option for generating cash flow. 3. Retail properties: shopping malls are the most common example of this. Generally a landlord will receive the monthly rent payments and can also receive a percent of the store’s profits. This will depend on the contracts between landlord and tenant. Now that we’ve touched briefly on different types of real estate investing and our tips for beginners, we are anxiously awaiting a call from you to discuss these ideas in more detail! Let us help you discover the possibilities for growing your wealth through real estate. Call today at 309-319-6030.